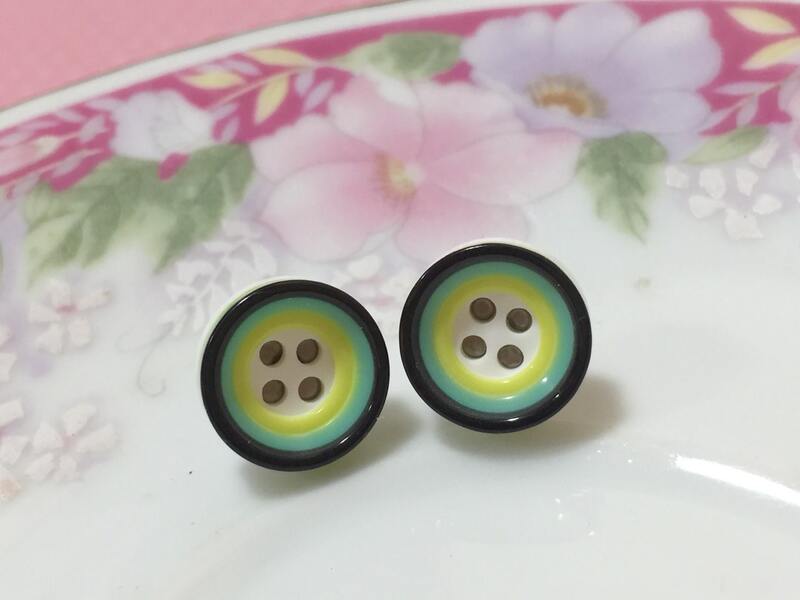 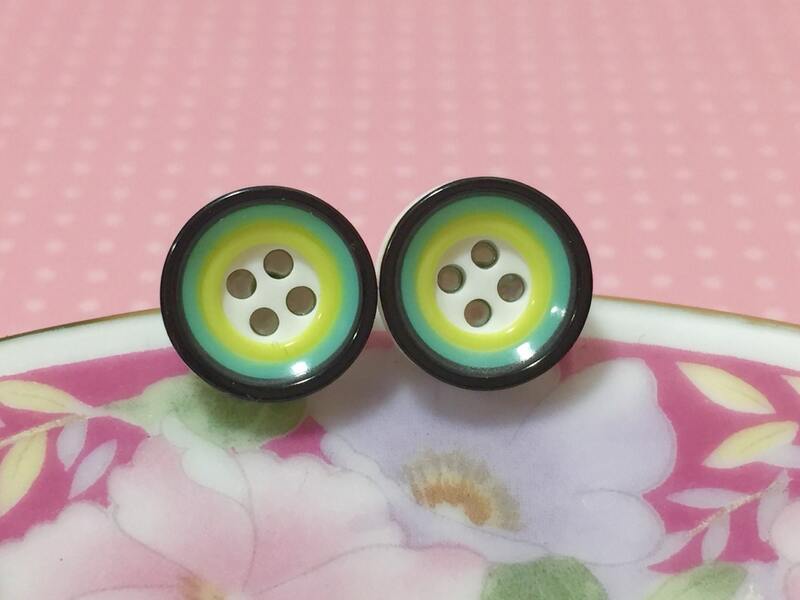 Sewing buttons with cool mod circles in lime green, black and yellow with a white center were used to make these button studs. 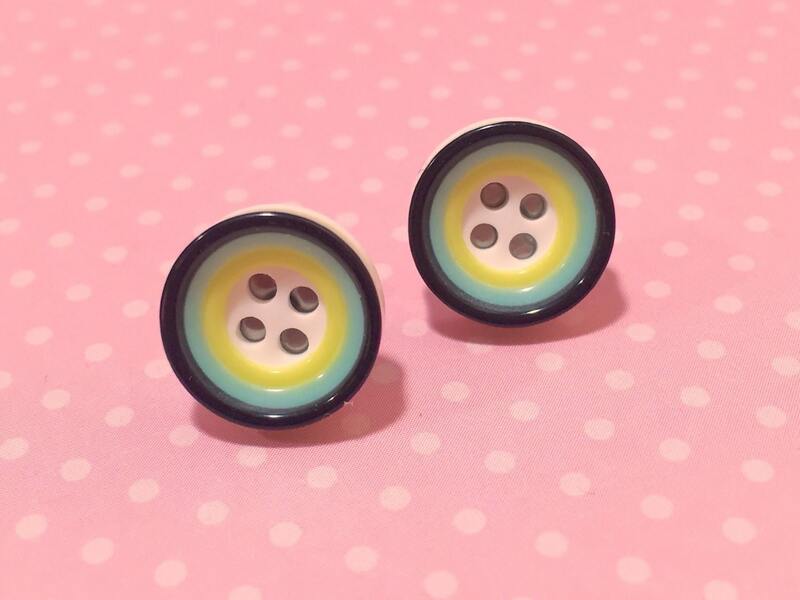 Button earrings make the perfect gift for your crafty pals, button lovers in general or simply for yourself :) These simple pretties are just the perfect addition to your jeans and t-shirt days! 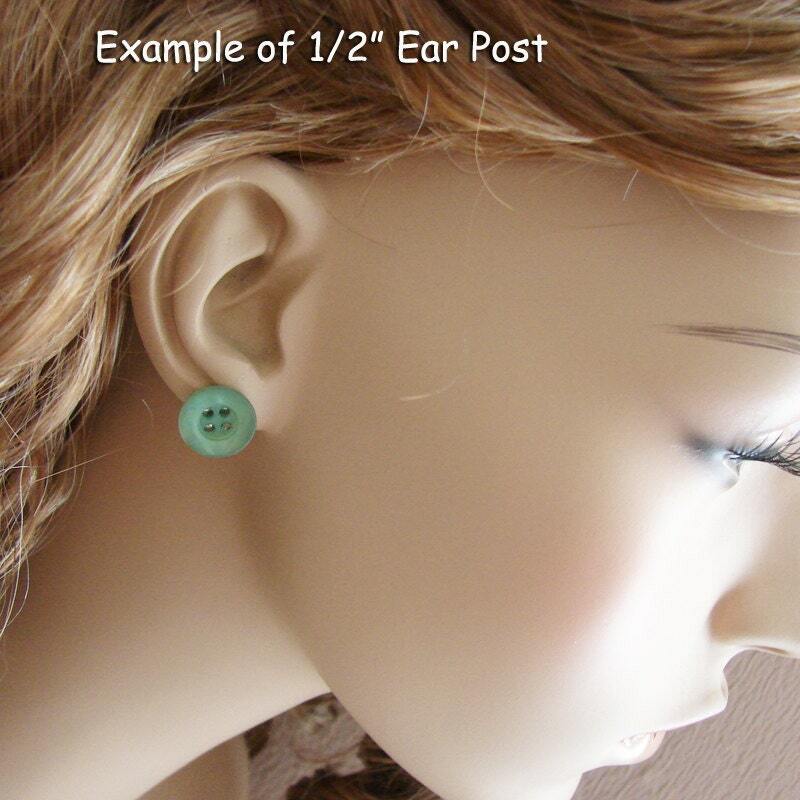 Small & sweet, these buttons measure right at 0.5" (13mm) in diameter & have been securely affixed to hypo allergenic posts.